The Government has directed the E-commerce companies to start collecting up to 1 percent Tax Collected at Source or TCS in the course of making any payment to suppliers under GST. Also, the other notified entities, that is, Public Sector Undertakings and the Government companies are directed to collect TDS at one percent on the payments done to the suppliers of Goods or services suppliers in excess of Rs 2.5 lakh. What it means for e-commerce companies? 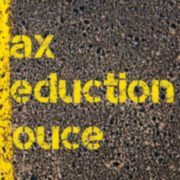 The Tax deducted at source (TDS) and Tax collected at source (TCS) provisions would be mandatory applicable from 1st of October under the GST law. Further, States too can levy up to 1 percent TDS under State GST (SGST) law. According to the Central GST act, the E-commerce companies like Flipkart and Amazon etc. for TCS and the other notified entities i.e PSU’s and the Government companies for TDS are directed to get their ERP’s updated soon to comply with these provisions by 1st October. This will not affect the consumers too much, but suppliers selling through E-commerce platforms would be greatly affected. The industries now actually require gearing up to get everything updated in their systems by the date notified. It is expected that the idea of TCS and TDS would help the tax department to penetrate more in the Economic system and would prove to put a curb on tax evasion -both direct and indirect now. Earlier, when GST came into practice from 1st July 2017, TDS and TCS provisions of GST were kept aside in order to make the GST tax collection simpler for businesses and to avoid the apprehensions against GST. Also, the reverse charge mechanism stands deferred till September end. 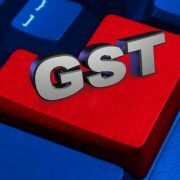 Further, the GST Implementation Council (GIC) in its meeting postponed the related provisions firstly till June 30 and later till September 30, 2018. Now, from 1st October 2018, it would be implemented in all its capacity. How to import and view Form 26AS ?